Who doesn’t love to walk into a room with fluorescent black light bulbs and see their white shirt and teeth glow? 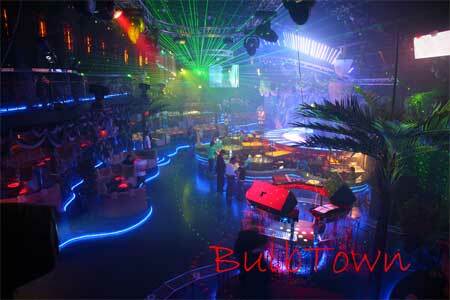 Black light fluorescent bulbs are used for a wide range of purposes, especially in the entertainment industry. They are a great addition to parties, clubs, and themed events to help set the mood. Black light bulbs are also used in a variety of professional settings such as investigation support in criminology, authenticating currency, and curing glass. Whether you need them for professional use or just for fun, Bulb Town offers a wide variety of black light light bulbs at great prices. Whatever size you need - 75 watt, 60 watt, 100 watt, fluorescent, or any other type of black light bulb, we have many bulbs available for all of your black light needs. Explore our store today and save big! We are proud to offer excellent customer service, so if you have any questions or need assistance ordering, please give us a call at 1-800-413-9847. Black Light Blue (BLB) bulbs are also know as UV-A light bulbs. The most common Black Light Blue (BLB) bulbs are fluorescents. BLB bulbs emit long wave UV-A ultraviolet light. Black Light Blue (BLB) bulbs typically have an integral filter which blocks most visible light and allows through UV-A so the lamp has a dim violet glow when operating. Black Light Blue (BLB) bulbs are purple when turned off, unlike their sister bulbs (BL Black Light) which glow purple when on, but are white when off.